Monument to Wojciech Bogusławski outside the National Theatre in Warsaw. Photographer: paplo. Across European states, a system of public theatres is a common occurrence. However, in each state theatre and its institutional network have acquired a different shape. Poland’s post-war history had an impact on the development of public theatre, with the country having fallen within the Soviet sphere of influence. In a Big Brother imitation in 1949, Poland’s minister of culture issued a series of directives transferring ownership of Polish theatres, operas and, in an unprecedented move, puppet theatres, to the state. Following the Soviet example in the Stalinist era, it had been a centralized system, with the Ministry of Art and Culture having final say on everything from choice of management, hiring of actors, repertoire and production planning to the number of buttons sewn on by a theatre’s tailor. Theatre managing directors were reduced to obeying instructions. Theatres operated on the basis of a 1950 decree on state enterprises – in other words, from a legal point of view, there wasn’t much difference between theatres and factories, steel plants and glassworks or mines. In the late 1940s and early 1950s, theatres were regarded as one the chief propaganda tools, and new theatres were opening one after another. By 1950, Poland had twice as many theatres as before the war: fifty-four compared with twenty-six in 1938.1 However, this rapid development came at a price: space and staffing in new theatres was often inadequate. The budgets of these new institutions were being drastically understated, failing to meet their needs. Improvements to theatre as an institution and to the state-theatre network began as soon as criticism was permitted in the mid 1950s, during the political and cultural ‘thaw’ marking the end of the Stalinist era. Theatres complained of their commercial-enterprise status, and of low pay, centralized authority, incapacitation of theatre management and overstaffing. The catalogue of issues raised during debates concerning theatres that ran from 1955 to 1958 has remained relevant for years. Some problems were resolved immediately: in 1958, the system was decentralized and theatres found themselves under the supervision of local authorities – or, to be more precise, regional offshoots of the central system. Other issues, too, were gradually resolved, although it had hardly been a dynamic process. It was just three decades ago (in 1984) that theatre was transformed from enterprise to an arts institution. In 2011, the status of theatre management became a little more stable: the relevant act of legislation specified how long a managing director is required to remain in post (between three and five artistic seasons); it also detailed grounds for dismissing her before the end of her term. Some issues raised during the post-Stalinist thaw have yet to be resolved, hence they were not much different from those highlighted today. Examples include flexibility in employing actors and other staff, pay scale and pay diversification. The demand to grant theatres greater autonomy in their dealings with the authorities supervising and funding them also remains unchanged. During the four and a half decades of Communism in Poland (1945-1989), the network of public theatres expanded to a hundred and twenty institutions, including puppet theatres, musical theatres and operas. This is obviously due to a broad tendency: in most European countries on both sides of the iron curtain, welfare policies (including policies related to the arts) developed impressively during that period. Many nations were building their system of public theatres almost from scratch (as evidenced by French decentralization, the British network of regional theatres, and Scandinavia’s touring companies). As regards Communist states, in the first decade after 1945, theatres were considered a crucial propaganda tool, as noted above – hence their numbers increased as if by the hour. Two categories of theatres came into being after the political change in Poland in 1989: public theatres (that is, national theatres governed by the Ministry of Culture and National Heritage and theatres run by city councils and other kinds of local government). Also established was a sizeable group of privately funded theatres, with commercial (private enterprise) and non-profit (NGO) theatres falling into this category, which currently numbers around six hundred entities. Public theatres operate on the basis of a legal act passed by the lower chamber of the Polish parliament, the Sejm, in October 1991, as the so-called Contractual Sejm was concluding its work. That Sejm, which had been elected in June 1989 in Poland’s first partially free vote after the war, had focused on aspects of the now free state most in need of urgent and profound reform. The Ustawa o organizowaniu i prowadzeniu działalności kulturalnej [Organization of Arts Institutions and Working in the Arts Bill] provided the legal framework for arts funding in the new political system. The bill introduced the concept of an ‘arts organization’ (theatres, museums, libraries, etc.) and enabled such institutions to be founded at will by a variety of public bodies: the ministry, central-government offices and local authorities could all set up and organize an arts organization. In addition, the bill provided the state both the opportunity to subsidise legal and to subsidise natural persons, opening up the possibility of staging grants competitions. In the aftermath of political change, as the state, seeking to re-establish itself as a democracy, was faced with the task of decentralizing its powers, theatres were gradually coming under local governmental authority rather than the authority of regional outlets of the government’s administration. This was done inconsistently and with inadequate planning. In the 1990s, artists and other people working in theatre expressed concerns that handing theatres over to local government would lead to closures. Those fears turned out to be groundless: local authorities proved to be good hosts for institutions in their charge. Not infrequently, subsidies were increased as a result of the switch, and long-overdue refurbishment works were completed. In 1998, legislation concerning Poland’s new territorial division was passed. The country was divided into sixteen regions and provinces: local government structures were established at provincial level and at the lower level of powiat [district].The new local government units were to take over the task of running arts organizations, including theatres, from provincial governors. 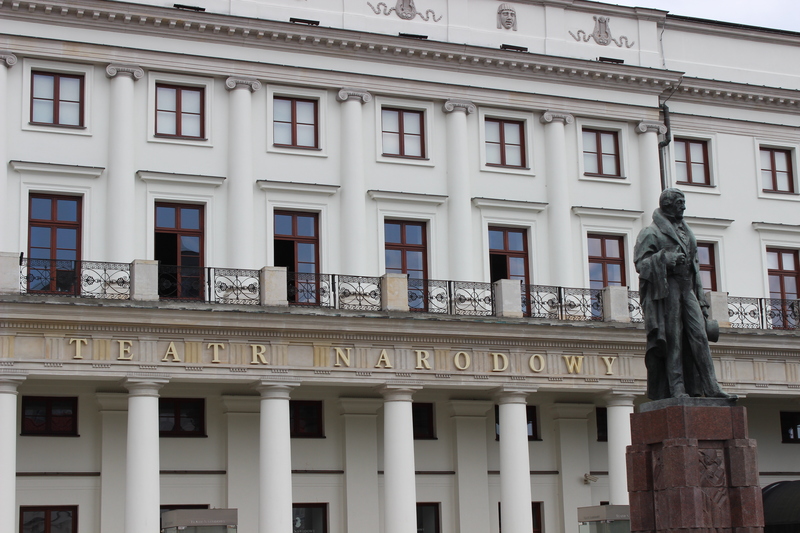 In effect, since 1999 only three national theatres have been funded from the central budget: the Wielki Theatre–National Opera and the National Theatre in Warsaw, and the National Stary Theatre in Kraków. Strictly speaking, these are the only theatres the minister of culture can influence directly. In addition, relevant legislation grants the minister of culture a say on the choice of managing director in theatres run by local governments. When local authorities decide not to open a competition for the position but instead to appoint a specific candidate, ministerial consent is required for the appointee to take the position. When local authorities, in turn, do opt for an open application procedure, the minister has the right to appoint her representatives to that recruitment panel. Theatres with a permanent ensemble, working on a given repertoire, dominate the institutional landscape of public theatre in Poland. Organized in a similar manner are the twenty-five puppet theatres. This puppet-theatre network, ranged across the country, is a vestige of Soviet influence, modelled on Sergey Obraztsov’s theatre founded in Moscow in 1931; all iron-curtain states had their own large, permanent puppet theatres featuring an ensemble and technical staff. Puppeteers in Poland are currently reverting to the mode typical for their genre across the world: they call into being small, mobile companies, capable of touring the country and the globe. The dance scene’s development has been quite slow in Poland. At present, there are almost seventy dance and movement companies in operation: the term can be applied both to public institutions (few and far between) and companies supported by private sponsors, the latter group varied in terms of status. Institutional dance and movement companies are rare: usually, they’ve developed around a charismatic founder, and today there are as few as five institutional dance theatres operating in Poland. Up to 2010, not a single public dance company in Poland had the exclusive use of a space in which to rehearse and present their work. Private-initiative theatres began to spring up in Poland in the 1980s. However, it wasn’t until 1989 that new opportunities opened for entrepreneurs. The musical Metro (1991) is a renowned example of this tendency: produced by a Polish businessman who’d made his fortune in Sweden, Metro was written and staged by a Polish crew, its cast chosen by audition and comprising mostly young actors whose talent compensated for a relative lack of experience. Metro was a major success, particularly with young audiences who, in a fledgling capitalist economy, found it easy to relate to the characters’ main dilemma: to have or to be. In theatre terms, Metro became one of the icons of Poland’s transformation. Initially, it was thought that the future of theatre in democratic Poland would rely on initiatives such as these. However, the irregularities of ‘wild privatization’ – when Warsaw city-council officials seemed determined to lease theatres to private entrepreneurs regardless of the cost – and the sense of failure after Metro’s misfired attempt to conquer Broadway demonstrated to theatre professionals they were better off relying on public funding. In the theatre landscape of the early 1990s, the only people who enjoyed international renown after they’d started their own businesses were puppeteers and artists working in the theatre of form (3/4 Zusno, run by Krzysztof Rau; Wierszalin, founded by director Piotr Tomaszuk and playwright Tadeusz Słobodzianek). Circa 1996, there were sixty-five private theatres in Poland: from small-scale ventures to full-blown commercial enterprises. The number is much higher at present, estimated at a hundred and fifty to a hundred and eighty theatres, from several big companies boasting a stage of their own to one-person companies. Privately funded theatres can be divided into commercial and non-profit theatres. The latter take the form of a foundation or association and are programmatically not profit-oriented. For almost fifteen years, the Ministry of Culture and National Heritage has been co-operating with local authorities in efforts to expand the system of grants which would provide greater stability to the most industrious of these non-profit ventures. Three-year grants have come to play a crucial role in recent years, in that they afford artists from major private theatres and drama festivals a degree of job security. However, when it comes to employing permanent staff, these have proven insufficient. The authorities have noticed that private non-profit theatres that are far less generously subsidized are capable of producing the same result (in terms of audience numbers and number of productions) as smaller public theatres. Local authorities take advantage of this: non-profit theatres receive modest subsidies and still enrich the theatre landscapes of their towns and cities. We should also bear in mind that independent theatres come into being, not in opposition to the institution but in an effort to find a niche, as it were, that public theatres are unable to reach. In fact, it is theatres with a commercial repertoire that compete with one another: this is where the inequality between public theatres and private enterprises is at its most glaring. In the past decade, several permanent commercial theatres opened in Warsaw, showing mostly comedies and small-scale musicals. In other cities, initiatives of this kind are still ephemeral. It is significant, however, that no other kind of theatre tours the country as extensively as do commercial theatres. After 1989, state subsidies for theatres were continually on the wane. Many institutions ran up debts during that period: in 1994, eleven provincial theatres made a profit, while forty-three ended the year with a loss. State theatres concluded 1993 with a joint loss of seventy-five billion zlotys (nearly two million euro); in 1994, their loss was reduced marginally. While in many sectors of public finance, the state was quick to write off the debt, it dragged its feet when it came to theatres. Theatre managing directors minimised their losses with a succession of cuts, more efficient management, the work of administrative staff keeping their institutions in check – and with the help of additional subsidies, received from provincial governors towards year’s end. In more recent years, a public theatre closing the year with a loss has been a rare occurrence. It only happens in theatres that can be excused on account of their managing director’s standing. Such matters are usually dealt with by local authorities who are understanding and determined to keep a low profile. In recent years, theatres have been making extensive use of subsidy programmes offered by the Ministry of Culture and National Heritage. These programmes could not have been established were it not for a funding solution that brought about an increase in arts resources. In 2003, the Polish parliament made it compulsory to pay towards the arts 20 per cent of the income from Lotto – that is, games on which the state holds the monopoly. That entire sum – a very substantial sum indeed, from the point of view of the ministerial budget – was successfully channelled to fund a wide range of grants competitions. All entities working in the arts were eligible: NGO theatres, arts organizations run by local authorities (public theatres; arts centres), private companies and churches. Theatres, along with using these subsidies to fund creative work, spend them on improving infrastructure. Studies looking into how the grant programmes work have shown that arts organizations run by local authorities benefit more than any other type of institution. - the Konkurs na Inscenizację Dawnych Dzieł Literatury Polskiej ‘Klasyka Żywa’ [‘Living Classics’: a Competition for Staging Polish Literature of the Past]: organized since 2014, this competition is modelled on the Contemporary Polish Drama contest, and encourages the staging of classic Polish plays through introducing a similar system of production refunds. Along with theatres, a variety of institutions benefit from such programmes financially – often irrespective of economic and organizational means at their disposal. Independent theatres know this much: support programmes are most beneficial if they are launched close to home, where decisions can be made more quickly within local government structures. The manner in which managing directors of theatres are appointed remains one of the most sensitive issues in the daily life of theatre. Through the 1990s, managing directors were recruited in open-application procedures. Whether such a procedure proved successful, however, depended entirely on the good will of the organizer of the competition process. Though suitable regulations were in place, the relevant authorities were bound neither by the result of the application procedure nor by feedback from relevant committees. Similarly, ministerial opinion on appointing and dismissing managing directors of arts organizations run by local authorities was without practical significance. Local authorities were free to do what they wanted. One case that got an unusual amount of attention was the appointment in 2003 of Grzegorz Królikiewicz as managing director of the Nowy Theatre in Łódź. The city’s mayor, Jerzy Kropiwnicki, chose to nominate Królikiewicz against the wishes of the company and against ministerial opinion, and despite negative feedback from the Polish Union of Theatre Artists (ZASP)and the entire theatre milieu in Poland. As a last resort, after an exhausting protest, the Nowy Theatre called on the authority of the minister of culture, Waldemar Dąbrowski. It was soon discovered – much to the surprise of everyone involved – that despite having formally expressed its dissent, the ministry had no real power to influence the local authorities’ decision: as has been noted above, its authority extends to the three national theatres: two in Warsaw and one in Kraków. In the aftermath of this ministerial incapacity, the relevant legislation was amended. Detailed regulations were introduced concerning applications for managerial posts in arts organizations. The ministry reserved the right, above all, to draw up a list of local, government-run arts organizations the managing directors of which would be chosen by open, competitive application processes. The ministry granted local authorities an option not to invite applications for a competition when appointing a managing director, but under the proviso that that was only possible with ministerial consent. The organizational basis of an artistic institution is the ‘artistic season’ – another new concept, denoting the period from 1 September to 31 August of the following year. Repertoire plans are drawn up with this period in mind. The length of the managing director’s term in office has been set at from three to five seasons, with no limit to the number of terms. Also, conditions for appointing a managing director without an application process and the manner in which this can be done were described in greater detail. Importantly, if a managing director is being reappointed, ministerial consent is no longer required – an assessment from the minister is sufficient. The mutual relationship between the managing director and the organizer of the theatre is regulated by a contract. The contract – which must be concluded before the new managing director is appointed, and is required for her to take office – specifies the organizational and financial terms on which the arts organization operates and details the institution’s programme. The fact that, at present, it is extremely difficult for the entity running a theatre to dismiss its managing director before the end of her term indicates just how successful the 2011 amendment has proven. However, another issue arose instead: the organization of the application process and the manner in which members of the selection panel are recruited goes a long way in compromising the idea of an open-application procedure. Nevertheless, it’s rare for local authorities to forgo that procedure when appointing a managing director, because those currently in power regard their consent as more than a purely formal matter and insist on seeing their candidates in office and their solutions in place, no matter what the cost. Theatre in Poland is plagued by extreme fragmentation and inadequate representation in social dialogue (both within the profession and at various governmental levels). The actor Olgierd Łukaszewicz, who chairs the Polish Union of Theatre Artists, tries to persuade theatre organizers and managing directors to establish an employers’ organization modelled, for instance, on the Deutsche Bühnenverein. Łukaszewicz argues that, at present, theatre employees lack a partner for potential social dialogue. Unfortunately, the employee associations are in equally poor shape: no artists’ trade union exists and large, centralized unions such as Solidarity and OPZZ abide by their policies, more or less in alignment with the government. As a result, it’s not unusual for trade-union activists to speak out against employees. This fragmentation may be due to financial problems theatres face. Situations similar to those from the 1990s, when theatres were forced to run into debt beyond their capacity to implement their creative programme, are rare in contemporary Poland. The theatres of today enjoy stability – one issue, though, has remained unresolved. For years, the authorities have been convinced that artistic institutions such as theatres, operas and philharmonic halls can operate on small sums. Theatres can hardly collaborate on matters of general interest when each of those involved has the good of her own theatre in mind. Politicians are adept at playing the card of mutual animosity and lack of understanding. It seems that policy-makers find the style of work in arts organizations difficult to grasp. After all, the political broom can sweep everything clean from one month to the next, replacing managers, yet politicians struggle to comprehend that different rules are in place at artistic institutions. A public office or a company can be taken over on the run, as many of their procedures are independent of changes of management. In theatre, though, such change often entails an abrupt turn or an about-face. Theatres call for management changes to be announced eight months in advance: this is one demand included in the recently published Katalog dobrych praktyk [Good Practice Catalogue]. Sadly, though, it remains common for an application process to take place at the eleventh hour. Is a new managing director capable of planning responsibly for the coming season if she’s appointed to the new post in May? In Germany, Switzerland and Sweden, a managing director is nominated more than a year and sometimes two or three years in advance. During the season immediately before she takes office, a new managing director receives information regarding the theatre’s new budget, enabling her to draw up a precise plan for her coming inaugural season. Polish policies regarding the arts remain unable to meet the needs of dance theatre. The authorities’ approach to problems experienced by dance professionals must be characterized with a single word: inertia. The attitudes of municipal authorities in Białystok, Kraków, Poznań and Warsaw are glaring examples of a dearth of dance-promotional policy, particularly when it comes to space for independent dance companies. Independent dance artists and companies can rely on welcoming approaches by selected arts organizations in their cities – however, not one of those cities makes a systematic effort to open their arts organizations to the presentation of dance. This also applies to rehearsal space. Dance artists have no choice but to negotiate on a case-by-case basis with arts centres, private dance schools, leisure centres and yoga schools (lending for use, rental or barter). Theatres appointing their own independent dance company in residence would an excellent solution which, in my view, deserves to be promoted. My complaint here is a lack of vision when it comes to dance, but vision is in short supply in Polish culture as a whole. Almost no strategic documents are being drawn up, whether on a national or regional scale. And documents that do exist are so general that they can be interpreted and implemented in whatever way is suitable – see the ideas for putting into practice the Arts Development Programme in Warsaw, greeted with resistance and protest by artists working in theatre. Any action taken is the product of politicians’ views and of public officials dealing with the matter in hand. Perhaps the worst tendency concerning Polish theatre is the view – equally widespread among politicians and commentators – that much like state-owned companies and public offices, arts organizations are spoils to be staffed by those who’ve shown loyalty to the present governing party. For years, theatres and libraries were sheltered from party activists. Sadly, political morals have been much corrupted in recent years. Mały rocznik statystyczny 1939 (Warszawa: GUS, 1939). Wallis, Aleksander, Atlas kultury polskiej 1946-1980 (Międzychód: Wydawnictwo ECO, 1994). 1. Mały rocznik statystyczny 1939 (Warsaw: GUS, 1939), p. 346; Aleksander Wallis, Atlas kultury polskiej 1946-1980 (Międzychód: Wydawnictwo ECO, 1994), p. 212. 2. See Monika Kwaśniewska’s detailed analysis of that situation and related topics, ‘The Actor in the Deadlock of ContemporaryFolwark Relations’ in this issue. 3. Ustawa z dnia 31 sierpnia 2011 o zmianie ustawy o organizowaniu i prowadzeniu działalności kulturalnej oraz niektórych innych ustaw, art. 11 ust. 2 [Organization of Arts Institutions and Working in the Arts Bill], Dziennik Ustaw 2011 nr 207 poz. 1230.